Your adventure on photo & video, to share with the beloved at home! 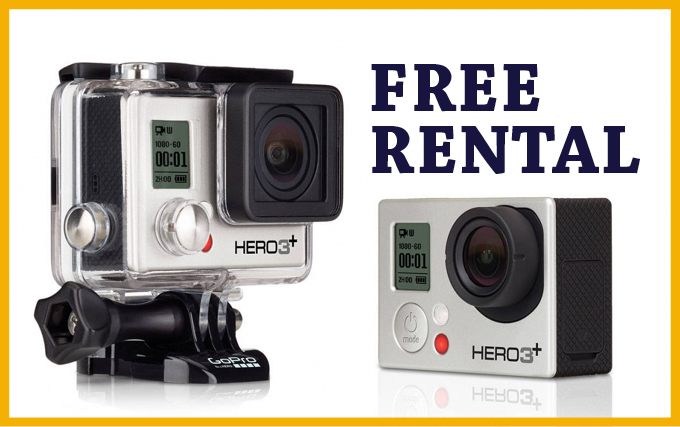 Now you can rent for free a GoPro, by booking a ProAlps activity. It has never been easier to create an adventure movie! The only requirement is an early reservation of the camera (4 cameras are available), a copy of your identity card and a bond of 50 euro. After the first instructions about the handling of the camera you will be able to start your adventure! The other necessary equipment for attaching the camera will be adapted to each adventure to ensure high quality shots! The camera can be collected the day before the booked activity and will be delivered the day after. On request the rental period of the camera can be extended. The rental agreement is only concluded after handing over the camera. We reserve the right to reject requests of this service.